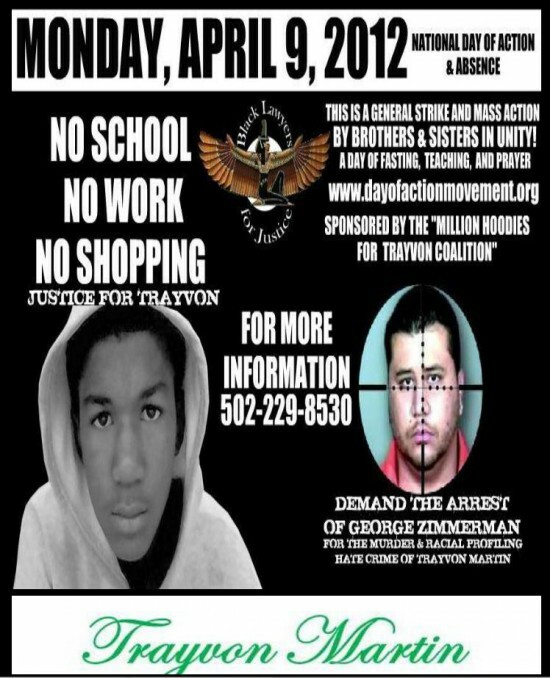 The New Black Panthers are planning a national day of action on April 9th. The Blaze reported on the racist group’s rally. The National Chairman of the New Black Panther Party, Malik Zulu Shabazz, appeared on the syndicated radio program The Muslim Street Sunday night to discuss his party’s initiatives regarding Trayvon Martin. The New Black Panthers made news last week when they released “Wanted: Dead or Alive” posters for George Zimmerman, who shot and killed 17-year old Trayvon Martin, and then offered a $10,000 reward for his capture. Shabazz continued by revealing a national “day of action” scheduled for April 9, a day before a grand jury is scheduled to begin hearing the case.